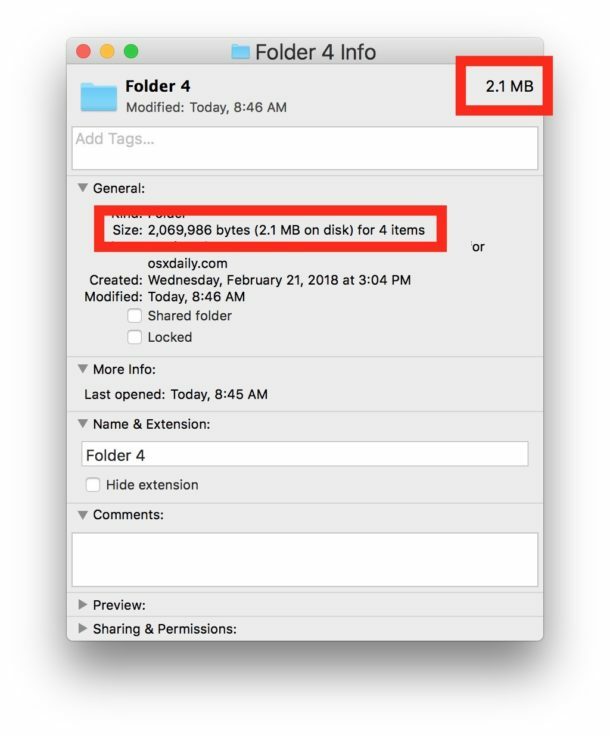 If you want quickly expand (or minimize) all of the detail sections within a Get Info window on a Mac, you can do so with a super simple keyboard shortcut. To get started, you’ll need to be in a Get Info panel. 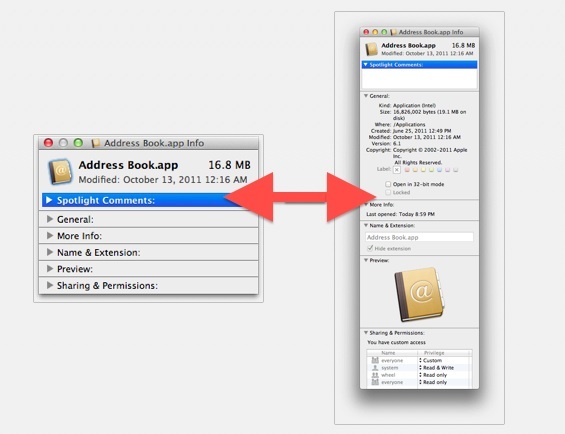 Just select a file and access Get Info by hitting Command+i to see how this works. To maximize or minimize all detailed sections of Get Info panels, just Option-click a single arrow. Instead of only expanding (or shrinking) that subheader section, all detailed sections will expand or shrink concurrently together. You can repeat this to hide and show all detailed subsections of the Get Info panel, and it works on just about every version of Mac OS X. Note: based on commenters below, this may be an addition to Mac OS X Snow Leopard 10.6 or OS X Lion and later, but it is not clear when the feature first debuted. If you have any specific details, share them below in the comments. What is ‘Get Info’ on a Mac anyway? For those unfamiliar with “Get Info” windows in Mac OS, the feature has been around for ages since the earliest days of Mac OS, back when it was called “System”. To access Get Info, select any item in the Finder and hit Command+i or choose “Get Info” from the File menu. The resulting “Get Info” panel section gives you details on the file or application, the ability to change permissions, file type, properties of the item selected, and much more. yep, works fine also on snow leopard ! OK …. it doesn’t work on 10.4, so it’s 10.5 later.